The Craig Hospital Holiday Music Program is a tradition Sam Andrews, Joe D'Nofrio, Kenny Hosack, and Margie Shockley started almost 36 years ago in the early 1980's. The purpose of the holiday sing is to give a gift to patients and families that are here at Craig during the holidays. Margie Shockley, former Music Director, and Sam Andrews, former MC, both led the Holiday Sing for 33 years. "Though we always do our best, it isn't about perfection," said Margie Shockley, one of the founders of the Holiday Music Program. "More importantly it is to convey the heart of Craig. That is the main goal, always," said Shockley. 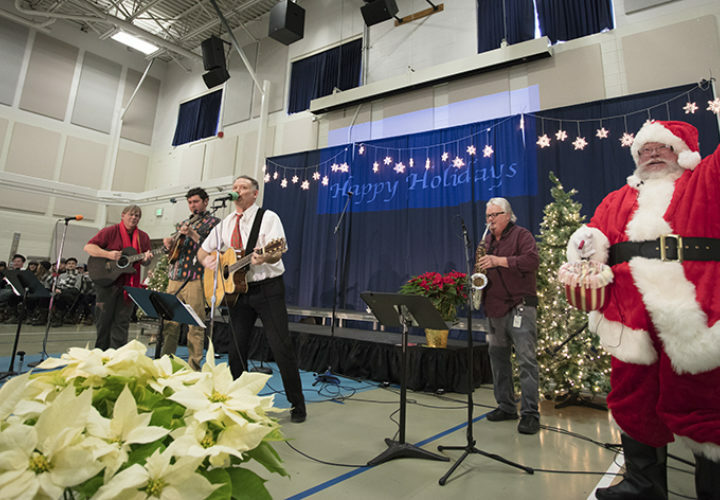 Over the years the Holiday Music Program has included a diverse group of singers, soloist, instrumentalist, bands, rap, poetry, rock n' roll, etc. resulting in a new and exciting program each year. "We're fortunate to have so many extraordinary musicians among our doctors and staff who are willing to share their talents with our Craig Family each year," said Kenny Hosack, one of the founding members of the Holiday Music Program. "This is a great tradition that Craig offers to Staff, Patients, and families," said Candi Boyd, Craig Chaplain. "I hope you are inspired by the program today and at the end of our time together we find ourselves blessed to be gathered in this place as one body seeking hope and peace in this holiday season." The 2016 Holiday Music Program band. 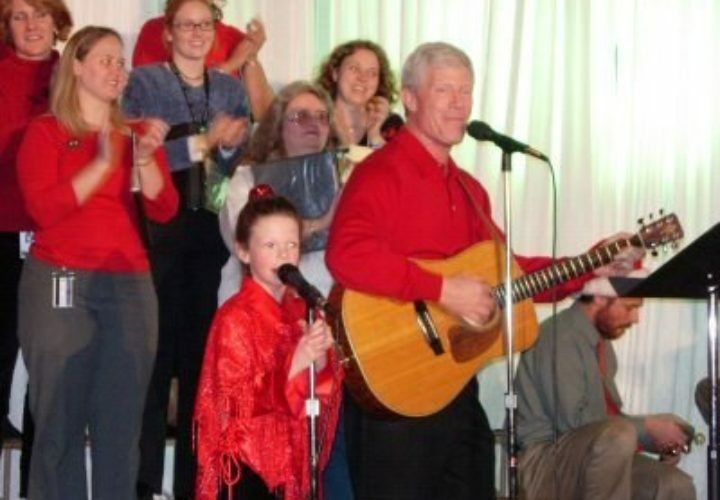 Dr. Dan Lammertse performing at the Holiday Music Program in 2007. 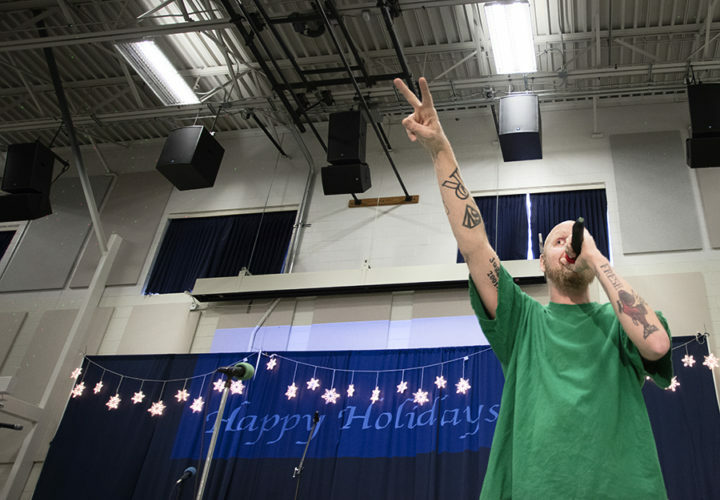 Craig tech & rapper J-Dirty performed at the 2016 Holiday Music Program. Dr. David Ripley cira 2007. 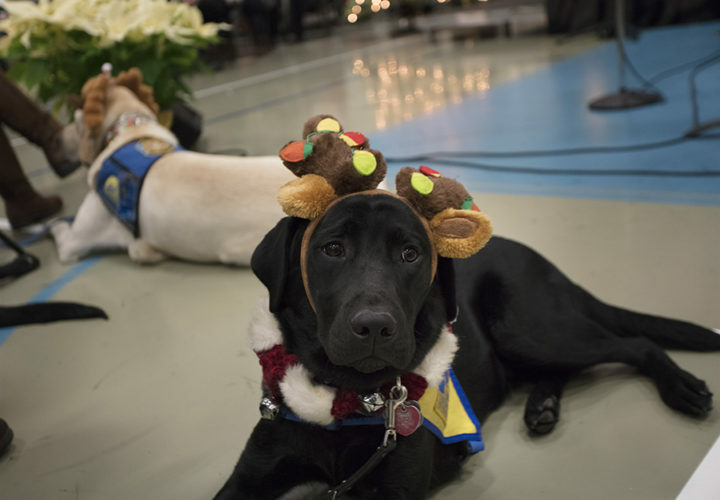 Craig Hospital therapy dogs made an appearance at the 2016 Holiday Music Program. Denny O'Malley performing with the choir in 2007. Thank you to all who participated in this year's Holiday Music Program!